XOXO Zoella? So do we all. But how well do you know her? Here’s your chance to suss out the secrets she’s not shared with her vlog. (Yes, there are some!) Say hello to the ultimate fanbook – bursting with secrets, facts, quizzes and games. Plus eight pages of glossy colour photos. Trending even faster than her vlog. True or false quizzes. Zoella’s favourite things. Answers to your burning questions about the Queen of Vlog. It’s like being a fly on the wall in Zoella’s life. (Except without having to be a fly. Phew.) We heart every blissful page of it. 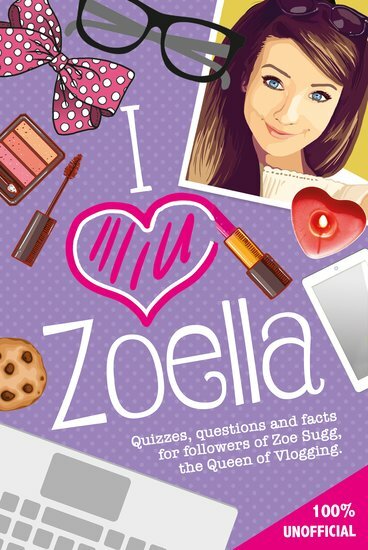 This book is featured for REAL Zoella fans. So if you like sorry LOVE her this is the PERFECT book for you.